Mixing directly and creating texture without additives can be done in various ways and can be subtle or bold. Acrylics will hold their shape until they are dry and can be applied thick or thin. They can be applied with soft synthetic brushes or stiff bristle brushes of different sizes to achieve different effects. 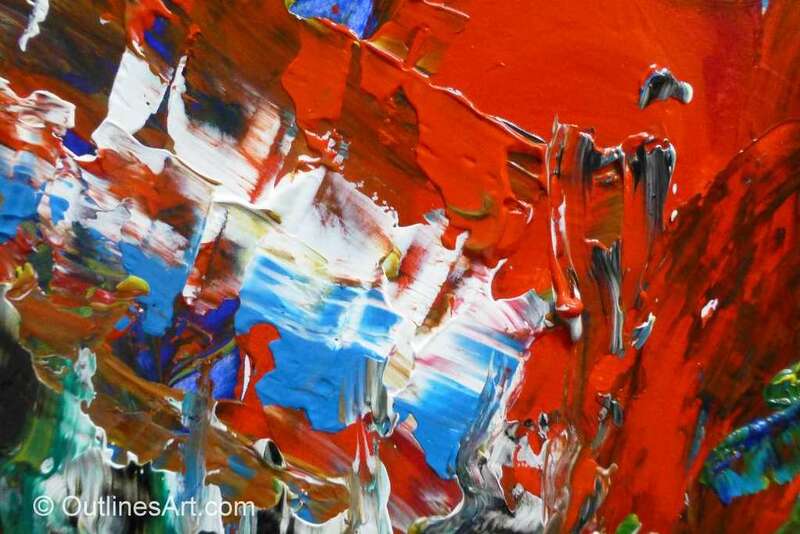 Acrylic paint can also be applied with a palette knife and an entire painting can be made without touching a brush. 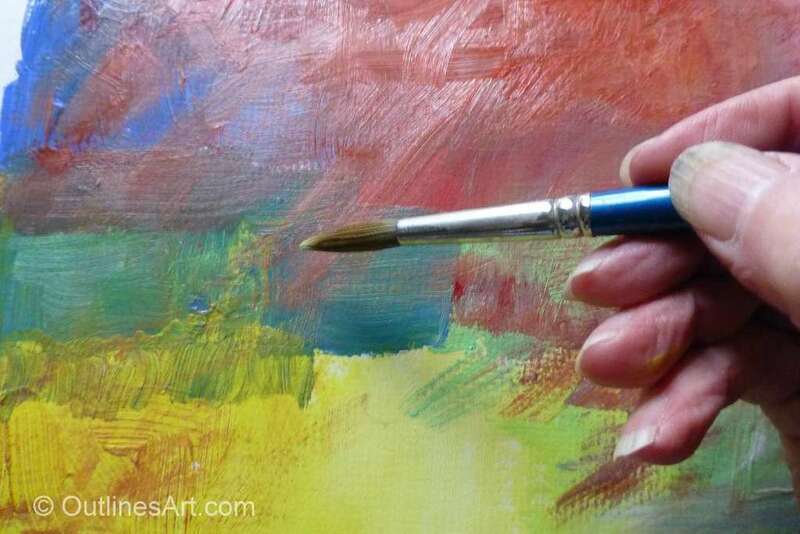 Brushes and pallet knives can, of course, be used together or in turn. Who is this for? People who have not used acrylics and want to know the potential and anyone who has not already discovered this for themselves! 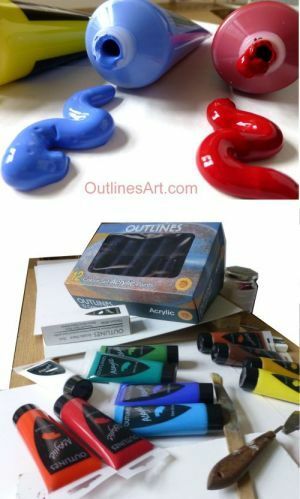 The following are examples using Outlines paints. They come in a set of Twelve colours in 75ml tubes. 1. 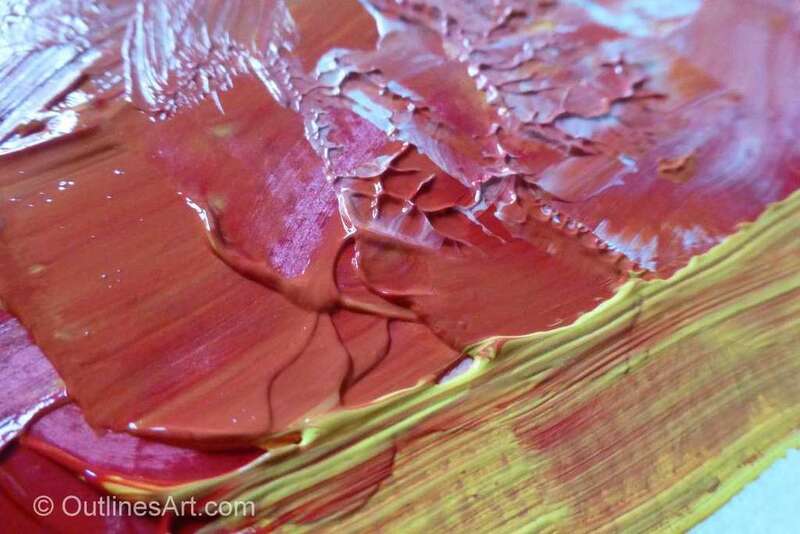 Lightly mixed red and yellow, applied using a palette knife. A yellow brushstroke while the red is wet picks up some of the colour. 2. White applied thickly with a stiff brush over a dried red background. 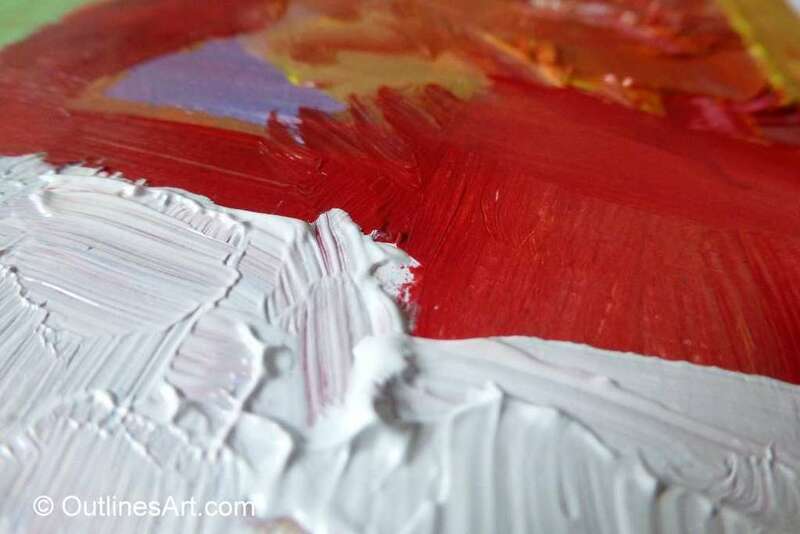 Where the stiff brush scratches, some red shows through and peaks keep their shape when dry. 3. Layers applied with a stiff brush allowing previous layers to show through. I’m about to add detail with a smaller brush. As the layers dry, more are added and are allowed to dry so that the textures show through. Some colours are blended and some are layered. 4. 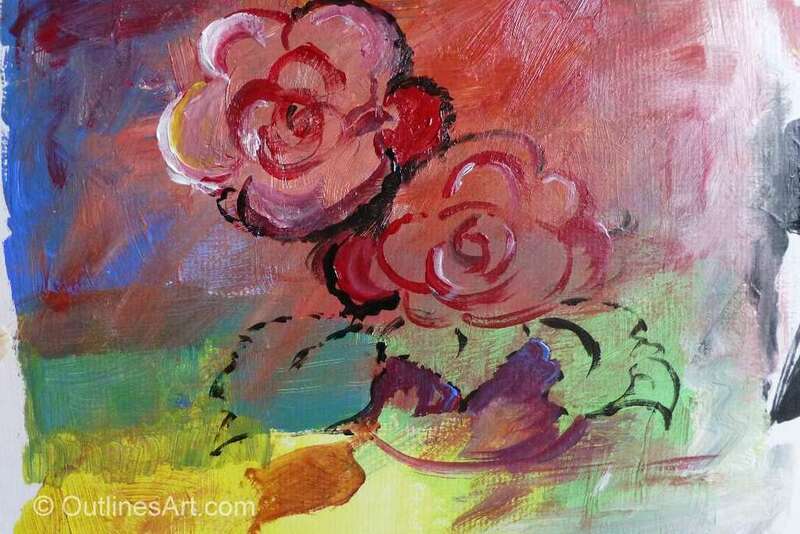 Making use of the colours in the background to make a loose painting of roses in a short vase. This one is hardly a masterpiece, but it shows how the drawing on top does not have to fit the colour shapes exactly. Some shadows and highlights were added loosely to keep the feel. 5. 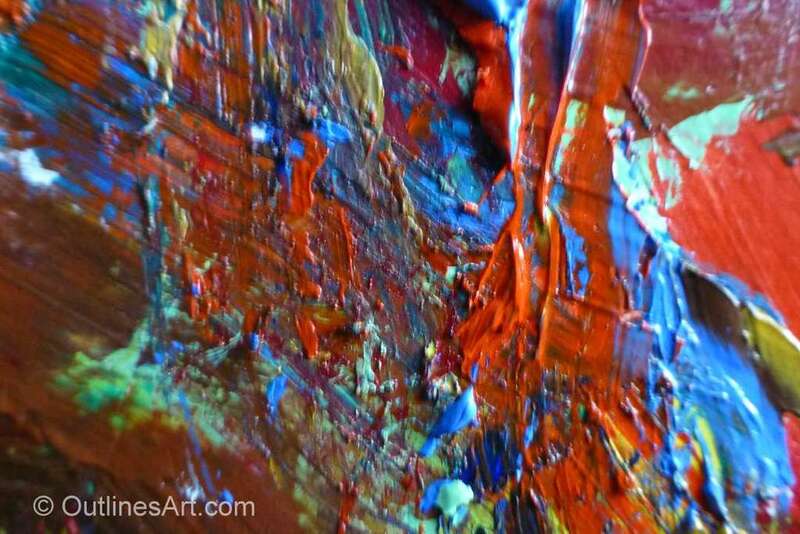 Extreme close up of layers applied with a brush. The high points of the green are picked up in a dull red by lightly drawing the brush over the surface when dry. The brush has very little paint on it. For the purple, a small amount of red and blue were squeezed right on to the painting then mixed and spread with a brush – leaving traces unmixed. Black strokes show the texture of the dry paint below. 6. A painting that needed a little excitement was treated to some vigorous strokes with lashings of paint squirted straight from the tube. Both pallet-knife and brush were used to get this glorious mess! 7. 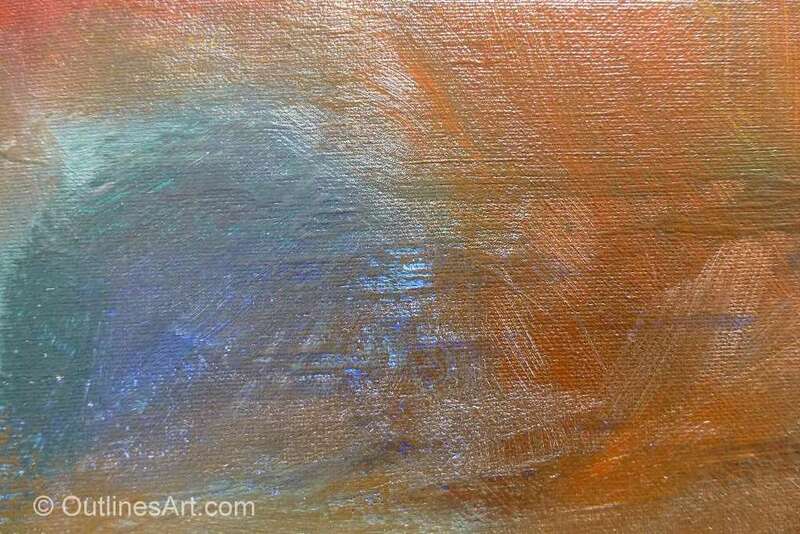 In a much gentler mood this shows soft blending of colours on the canvas in layers. You can see thinly painted colour showing through in places, some untouched and others changing the semi-transparent colour on top, a little like watercolour. 8. 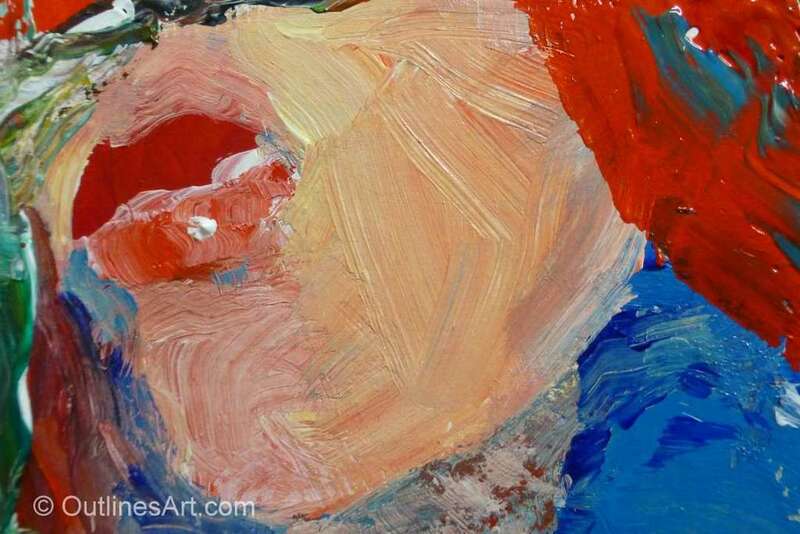 This wildly coloured piece shows how you can work with a palette knife. By picking up more than one colour with the knife, either on opposite sides or along one edge, spreading the paint will mix it arbitrarily. With practice, a certain amount of control can be achieved but surprises are good too. This again, has been painted in layers, the bumps of the previous layer affecting the passage of the paint. 9. Finally this close-up of part of a painting of a face shows how the paint was applied. Areas of colour were painted using the pallet-knife and had begun to dry before making adjustments with the brush. Colours were mixed with a flat bristle brush on the pallet, progressively changing the shade without completely blending the colour to avoid a flat result. 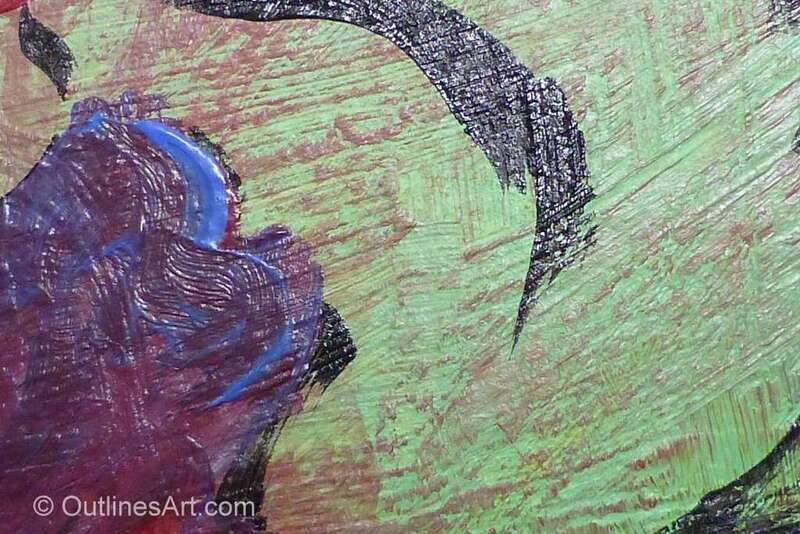 The beauty of acrylic paint is that you can completely cover parts of a painting that did not satisfy. You can extend the drying time or paint transparent layers by adding water. If you like to paint in oils you can use acrylics to do an underpainting or make a coloured background that will be ready to paint in no time. No related posts for this content - yet.